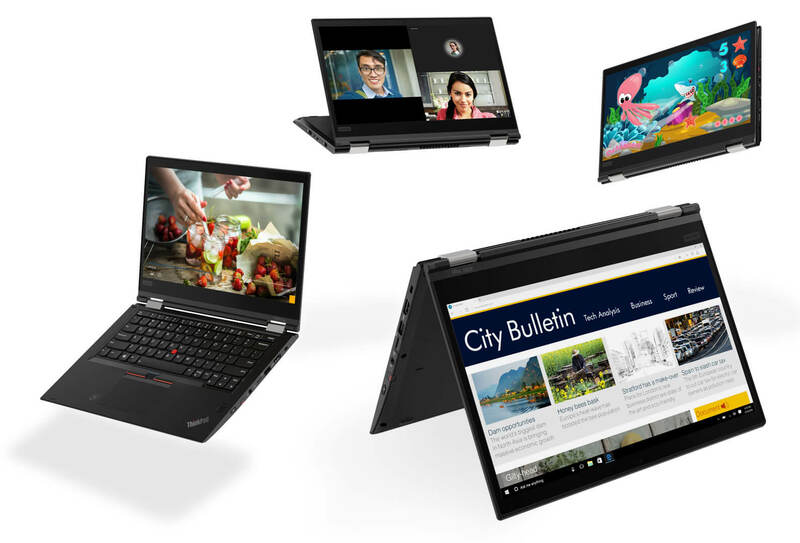 Lenovo has released their ThinkPad lineup for CES 2018 and there are plenty of laptops for all scenarios. ThinkPads are designed around corporate use as mobile workstations. Lenovo will offer new machines in the T, X, and L variants, all will get 8th generation Intel Core processors, USB Type-C charging, and a built-in physical webcam cover. The high-end ThinkPad X will be available in the X280 and X380 Yoga variants. Both will have at least 13 hours of battery life. The Yoga version has a 360 degree foldable hinge which allows the screen to lay flat like a tablet. The X280 starts at $999 and the X380 will set you back $1459. The mid-range ThinkPad T series will be available in the T480s, T480, and T580 configurations. The T580 can be configured with discrete graphics and up to a UHD display. The T480 and T580 can accommodate dual batteries giving the T480 14.5 hours of battery life and the T580 an impressive 27 hours. The T480 starts at $989, the T480s starts at $1269, and the T580 starts at $1079. The last variant is the value-oriented ThinkPad L series, to be sold as the L380, L380 Yoga, L480, and L580 models. The L series is available in 13, 14, and 15-inch screen sizes. The L480 and L580 can also be configured AMD Radeon 530 discrete graphics. The L380 starts at $609, the L380 Yoga starts at $1049, the L480 starts at $779, and the L580 starts at $769. In addition to this vast array of laptops, Lenovo will also be launching two new IPS monitors. The ThinkVision X24 is a 4mm thin monitor with narrow 1.1mm bezels. The P32u will also feature narrow bezels as well as Thunderbolt 3 in and out. The X24 will be available in January for $249 and the P32u will launch in March for $1349.